Born in a house on Main Street in 1879, Winston was home for Bess. She raised a family, cared for grandchildren, and shaped many local institutions through volunteering and leadership. At age 11, Bess joined Centenary United Methodist Church. As an adult, she served on numerous committees, always stepping up—or giving behind-the-scenes support—as needed. She taught a women’s Sunday school class for decades and was often the first to welcome a newcomer to the church. She married Charles E. Plumly in 1902, and while living in Pennsylvania, they had two daughters and two sons, one who lived only 10 months. Returning home in 1911, she raised the children in a house on West End Boulevard. Years later, with characteristic energy and determination, she traveled to England to ensure her married daughter and her granddaughter—just three weeks old—would return home safely as World War II was brewing in Europe. The four sailed on the last ship to cross from England just weeks before war was declared in 1939. As part of the Gray family — and of a generation that would become known in the community for its leadership, business achievements, and philanthropy—Bess held fast to family ties, but she also forged her own path. She poured herself fully into community life, contributing her ideas, time, and resources to numerous groups including the Red Cross, the Twin City Hospital Commission, the Community Chest, and the YWCA. She was the first commissioner of the local Girl Scouts council and led the organization through its early years of growth. Through it all, Bess still found time to enjoy herself, often hosting a house full of visitors or spending time with friends. Fifty years ago, her legacy was solidified beyond those who knew her. 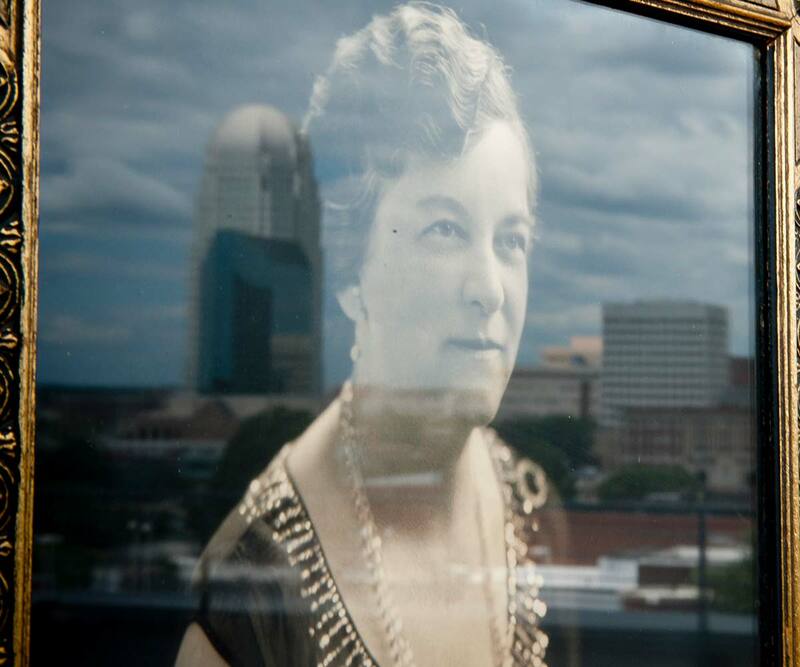 She died in 1963, and two years later the Bess Gray Plumly Fund was established at The Winston-Salem Foundation. Her bequest was generous and provided a substantial increase to the Foundation’s total assets at the time. It was also generous in spirit because it created an unrestricted fund that allows the Foundation to meet changing opportunities in the community over time through grantmaking. True to that purpose, the Fund has supported numerous, varied organizations, including Second Harvest Food Bank, YWCA of Winston-Salem/Forsyth County, Imprints Cares, Legal Aid of North Carolina, Samaritan Ministries, and Neighbors for Better Neighborhoods, just to name a few. Bess Gray Plumly’s spirit of giving back to the community has continued for over 50 years. While Bess could not have imagined Winston-Salem as it is today, her family agrees that her generosity was well-placed. Through her fund, Bess will continue to make a positive difference in the lives of children, families, and neighborhoods in the place she was proud to call home. The Bess Gray Plumly Fund, an unrestricted fund, was established in 1965 by bequest for general charitable purposes of the Foundation. Mrs. Plumly’s gift continues to demonstrate her trust in the Foundation to determine how her resources can best impact the community over time.